Al Tahoe, one the oldest neighborhoods on the South shore of Lake Tahoe, is a charming mix of rustic real estate from the turn of the previous century all the way through to ultra-modern and green new construction. It’s also a hub of activity and crowd-drawing events due to its convenient central location in South Lake Tahoe, positioned between the lake and Truckee Marsh Meadow and Trout Creek. It’s also well-known to be a Lake Tahoe community that’s as close to the water as you can get – most homes in Al Tahoe are within a very short walk to the Lake, and nearby Regan Beach Park are open to the public. 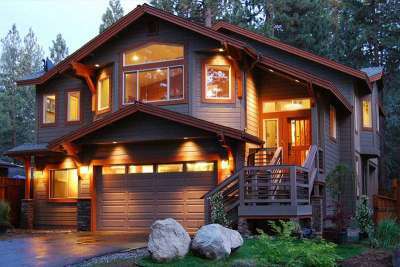 Real estate in Al Tahoe is quite varied, running the gamut from apartment buildings and multi-family units to quaint cabins and impressive modern designed homes. Al Tahoe homes for sale are relatively affordable compared to other Lake Tahoe neighborhoods; the average and median house prices range from $400,000 to $600,000, but there is still usually a good selection of real estate for sale below $400,000. 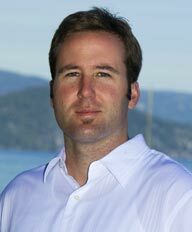 Al Tahoe does offer some great Tahoe lakefront properties for sale that are at the higher end of $1,000,000 on up. Taking its name from the Al Tahoe Hotel, an establishment founded by Almerin R. Sprague in 1907, the community of Al Tahoe has a colorful history. Since that time, it’s been home to Gold Rush miners, National Forest Service cabins, a summer camp for Washoe Indians, and an opulent and renowned private resort – until it was purchased in 1945 by a real estate developer, after which most of it was subdivided and sold in lots. If you’d like to know more, you can always visit the Lake Tahoe History Museum on Lake Tahoe Boulevard. In the summer months, Al Tahoe is right where you’ll want to be to find fun in the sun, whether it’s boating, fishing, swimming or soaking in rays at nearby El Dorado Beach or Regan Beach Park. During the day, Al Tahoe’s Lakeview Commons Area presents entertaining stand-up paddle races, and is a fantastic spot for barbecues. In the evening hours, the Commons hosts free live music every Thursday night. During the winter months, Al Tahoe is only a few miles away from Heavenly Mountain, a world-class ski resort. And all year round, this neighborhood is home to or within a few short miles of casinos, shopping, fine dining and vibrant nightlife.